Have you skipped a few date nights? Has this made your partner more monster than cookie? 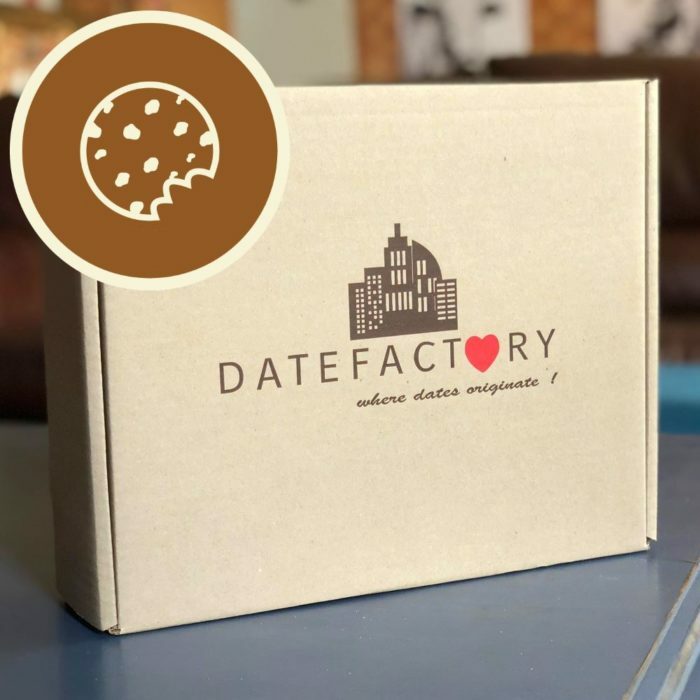 DateFactory is here to save the day! We’ll help you to sweeten any heart- all you need is a nice dinner, a warm bath and a whole lot of loving. Be sure to put away any distractions, you’ll want to take your time with this date. Dig into some yummy cookies and conversation as you chat the night away. We know you’ll be out of the dog box in no time. All that is left to say is that we hope you don’t mind cookie crumbs in bed! This is a mini date, it is NOT meant to be used as a whole date on it’s own. It is short and sweet, just a taster of what DateFactory is about!